AutismWonderland: Bleach is For Cleaning, Not Curing. When The Boy was first diagnosed with autism, I really believed he could be "fixed." I wanted to make him normal. (I think most parents go through that phase.) I tried diets, I researched and read different books. And for a hot second, that damn Jenny McCarthy made me feel guilty for not taking The Boy to a DAN! doctor. For many parents, it's about trial and error. We are willing to try (almost) anything and everything if it means helping our kid. But when will a parent draw the line? Over the last few weeks, this article about the Autism One conference and Kerri Rivera (Director of Autism02 - Hyperbaric Clinic in Puerto Villarta, Mexico) has been making its way across the blogosphere. And it's been making its way for good reason. Rivera claims that she has helped children recover from autism with something called Miracle Mineral Solution (MMS). So what is this little miracle? In a 2010 CNN article, the FDA warns against usage of the solution as they have "received numerous reports of serious side effects including nausea, vomiting, diarrhea, and life threatening low-blood pressure from dehydration." Though Rivera dismisses diarrhea as "OK as long as it's detox diarrhea.'" So where would I draw the line? Hmmmm somewhere around bleach and enema. Because it sounds...I don't know? SADISTIC, CRUEL and Motha EFFIN CRAZY! For me, the worst part about this whole thing is where Rivera started her clinic - in Puerto Vallarte, Mexico. While Puerto Vallarte may be a fab vacation hot spot, it's not all resorts and margaritas for the people who live there. If parents complain about the system and services in the United States, I can only imagine how scarce resources are in Mexico. I can understand how MMS can truly seem like a miracle to a parent in Mexico. Because when you have a child with autism, a parent is willing to try anything you think may work. And when resources are limited or non-existant or completely out of your financial reach, the line may be harder to draw. But MMS isn't exactly the option I'd want them to have. And sadly, for many low income impoverished families - MMS is probably the only option they have since Rivera uses "fundraising efforts and donations the clinic offers treatment for children of low income families at no charge." There is so much stigma that surrounds autism - especially within the Latino community. We don't talk about. We're ashamed of it. We're scared of it. We dismiss it. And now Rivera- claims to be able to "cure" it. 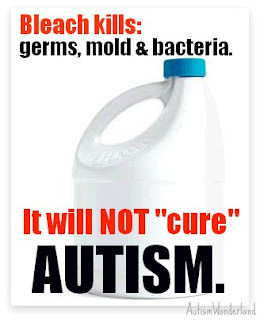 As if autism is something that could be treated with un remedio casero (a home remedy). In my opinion, that's a dangerous message to send. 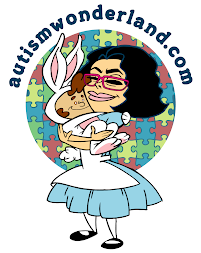 I want to be supportive of Kerri Rivera for starting a much needed autism non profit in Mexico, for raising awareness, for empowering families. And I want to believe that Rivera wants to really help and that she's not exploiting poor children and using them as guinea pigs to gain fame in the States. But to me, all Rivera is doing is, creating a false sense of hope for many families. And she's putting children at risk. I want those families in Puerta Vallarta to know they have other options. How do we do that? Emily Willingham has started this petition below. Please sign it.